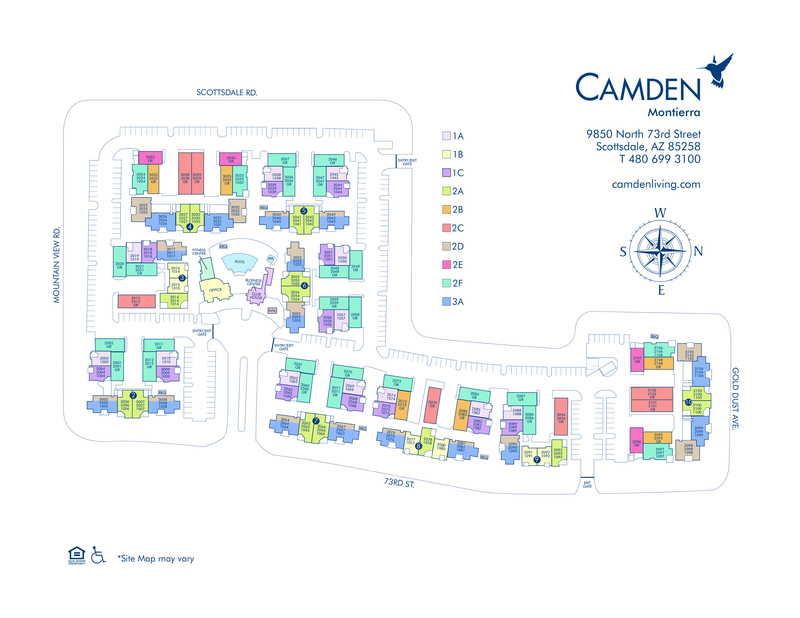 Camden Montierra, in Scottsdale, offers upgraded one, two and three bedroom apartment homes – many with direct access garages. Is entertaining your thing? Our chef-inspired kitchens are fully equipped with stainless steel appliances and an open layout, so you can prepare delicious meals and still be part of the dinner conversation. Location is everything in Arizona and Camden Montierra is conveniently located on Scottsdale Road adjacent to Gainey Ranch. We are minutes away from Scottsdale Fashion Square and Scottsdale Corridor, where you will be able to shop, play golf, see a movie or dine at one of the best restaurants in Scottsdale. Camden Montierra’s pet-friendly community also has a resort-style pool and fitness center open 24 hours a day for your convenience. Inside our clubhouse we have a resident lounge with a flat-screen TV, fireplace and comfortable seating perfect for entertaining guests. Residents also receive a technology package included in the total monthly rent with a savings of up to 50% retail. This money-saving package includes high-speed internet at speeds up to 100 Mbps and over 280 digital video channels plus HD programming with full multiplex of HBO through Cox Communications. Come live with us and experience Scottsdale living first hand. We'll save a spot for you! Each apartment home includes either a garage or covered parking.